The Concours of Elegance will be hosted at in the exceptional grounds of Hampton Court Palace until 2021, following a new five-year agreement between Concours of Elegance and Historic Royal Palaces. Next year’s event, taking place from 31 August – 2 September at Hampton Court Palace will bring together more exotic cars and luxury partners than ever before. The Concours of Elegance remains unique in the UK as the only automotive event to be held at a royal venue each year, having previously been hosted at Windsor Castle, St James’s Palace and the Palace of Holyroodhouse. 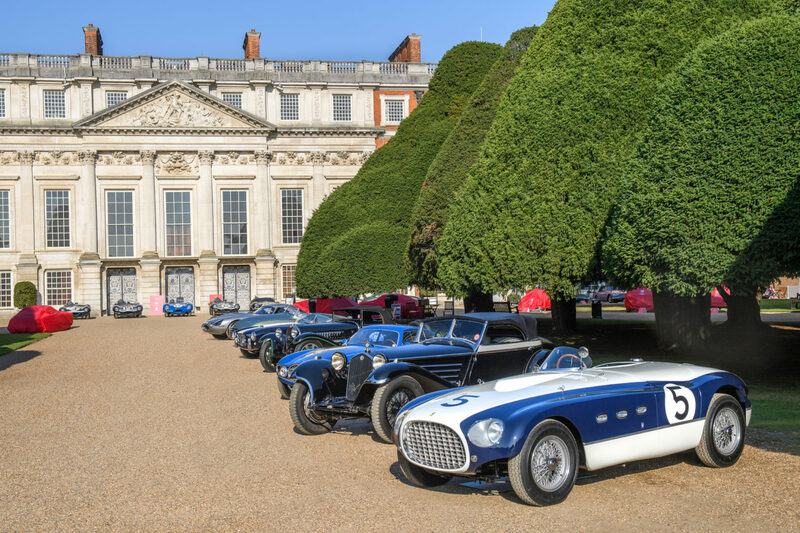 In 2014 and 2017, the Concours headed to Hampton Court Palace, quickly establishing itself as a favourite for visitors, as the perfect setting for some of the world’s most incredible vehicles. His Royal Highness Prince Michael of Kent remains the Concours of Elegance’s Patron, and will continue to serve as Chief Judge in the highly sought-after Royal Automobile Club’s Club Trophy. Bringing together the ‘best of the best’ of the UK’s car club scene, the Club Trophy winner is granted automatic entry in to the following year’s Concours of Elegance selection of cars. The 2017 winner, the Rolls-Royce Silver Ghost ‘Taj Mahal’ will be entered into the main concours for 2018’s event at Hampton Court Palace. As the Concours of Elegance looks to develop and grow over further years, Thorough Events has also announced the appointment of Andrew Evans as Managing Director. Andrew has more than 30 years’ experience in events, including as Director of Reed Exhibitions, and consulted on the launch of City Concours and the most recent Concours of Elegance. During its five-year run at Hampton Court Palace, Concours of Elegance will be once more focusing on raising significant sums of money for charity. The 2017 event raised in excess of £250,000, and the total raised since the Concours began in 2012 has now surpassed £1.25m.